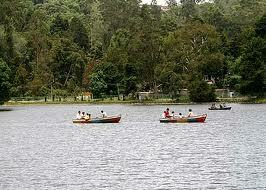 Kodaikanal is situated in the state of Tamil Nadu, India. It has mesmerizing view surrounded by rocks and enchanting waterfalls. It is famous for the Kurinji flower which blooms once in 12 years. The Berijam Lake is a pure water lake here and many fairs and festivals are organized here throughout summer. Boat races, cultural programmes, and flower and fruit shows add to the festivities of the place.